VENDIA is a new product for wooden boat building. The product combines the excellent features of traditional solid planks and marine plywood: the fine appearance of knot-free surface, crack resistance, good bending performance, and longevity. 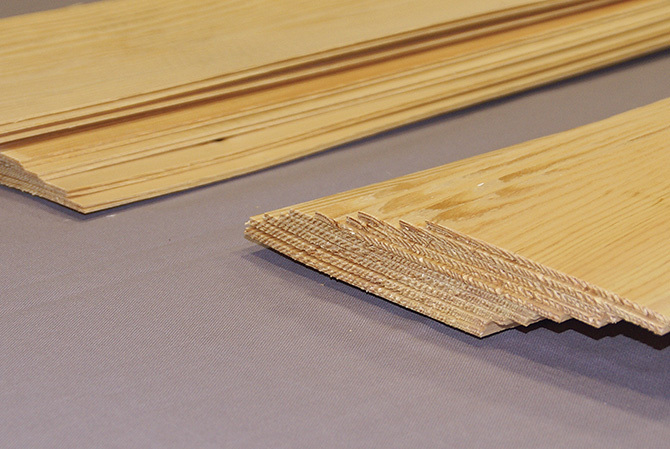 The main raw material of VENDIA is Finnish pine characterised by slow growth. The marine plank is made of sliced veneers. The face veneers are made of knot-free pine or A grade mahogany and core veneers of pine, according to the customer’s specifications. Face veneer options are crown cut or quarter cut. Face veneers are made of knot-free pine and core veneers of pine. 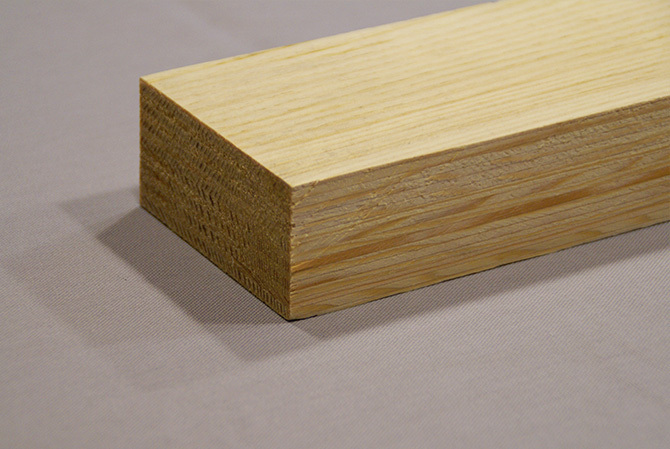 For example, a 9 mm plank consists of five lengthwise and two crosswise veneers. 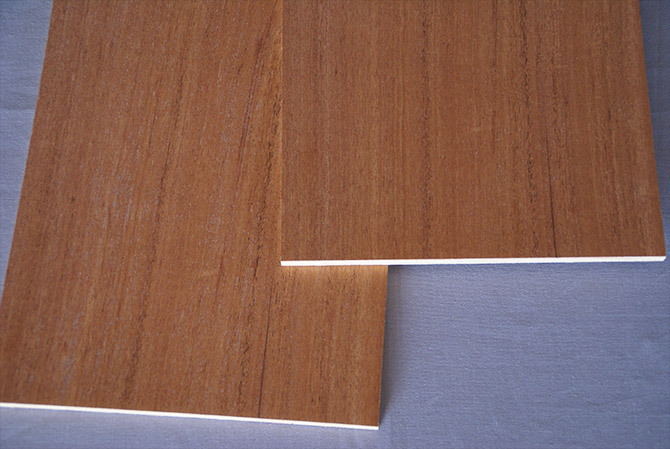 Core veneer thickness: 1.2 mm, face veneer thickness: 1.5 mm. Thicknesses: 4, 5, 6, 9, 12, 15 mm, special dimensions by request. Corresponding veneer layers: 5, 5, 5, 7, 9, 11. Widths: 100, 125, 150, 175, 200, 225, 250, 275, 300, 325, 350, 375, 400, 425 mm. Face veneers are made of knot-free pine and core veneers of pine. VENDIA Pro consists of eight veneer layers in total: six lengthwise veneers and two crosswise veneers. Face veneer thickness is 1.5 mm and core veneer 1.2 mm. Cross veneers are 0.6 mm thick. This structure increases the longitudinal stiffness of the plank and it meets the longitudinal stiffness of 12 mm solid plank. This product is developed with a boatbuilder for experienced boatbuilders. Face veneers are A grade mahogany and core veneers are pine. 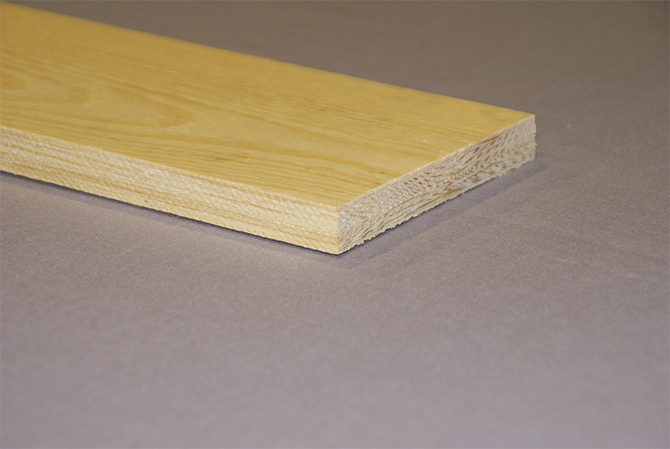 For example, a 9 mm plank consists of five lengthwise and two crosswise veneers. Core veneer thickness: 1.2 mm, face veneer thickness: 1.5 mm. Thicknesses: 4, 5, 6, 9, 12, 15 mm, special dimensions by request. Corresponding veneer layers: 5, 5, 5, 7, 9, 10. The raw material is Finnish old grown pine. Keel is made of only lengthwise veneers – face veneers 1.5 mm and core veneers 3.0 mm. The raw material is Finnish old grown pine. Keel is made of only lengthwise veneers – face veneers 1.5 mm and core veneers 1.2 mm. The raw material is Finnish old grown pine. Bent frames are made of only lengthwise veneers. 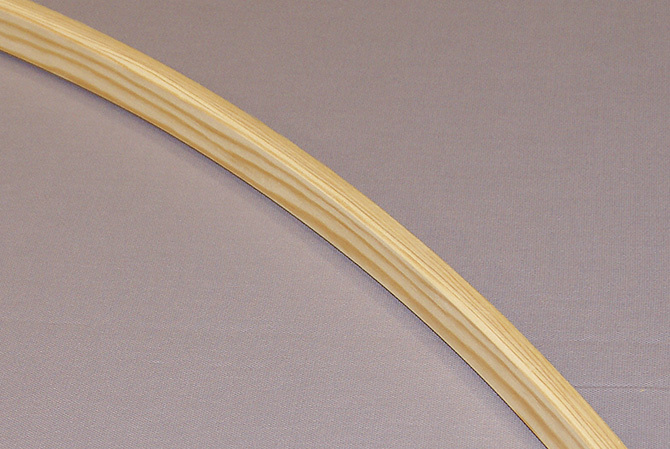 A 6 mm bent frame is made of four 1.5 mm veneers, whereas 10.5 mm bent frame is made of seven 1.5 mm veneers. 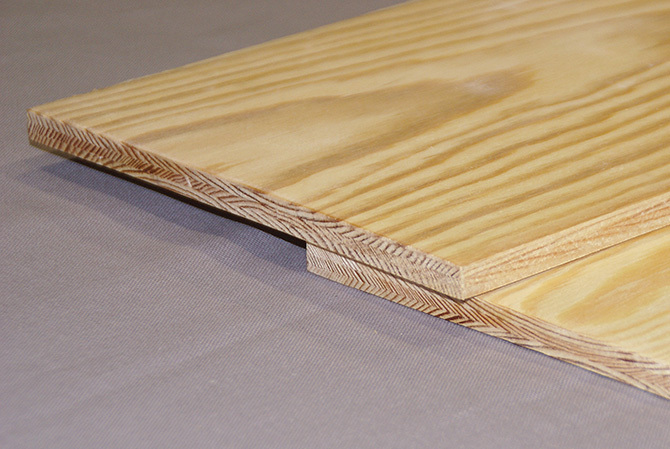 Bent frames can also be made of normal structured VENDIA marine plank (see details in the section Marine plank). The raw material is Finnish old grown pine. Gunwales are made of only lengthwise veneers – face veneers 1.5 mm and core veneers 1.2 mm. Sliced veneers for laminating. The raw material is Finnish old grown pine. Face veneer quality A/A. Bonding quality EN 314-2, class 3, exterior. Dimensional tolerances EN 315. VENDIA meets the technical requirements of the British standard 1088. Density 650 kg/m3 (+/- 50 kg).